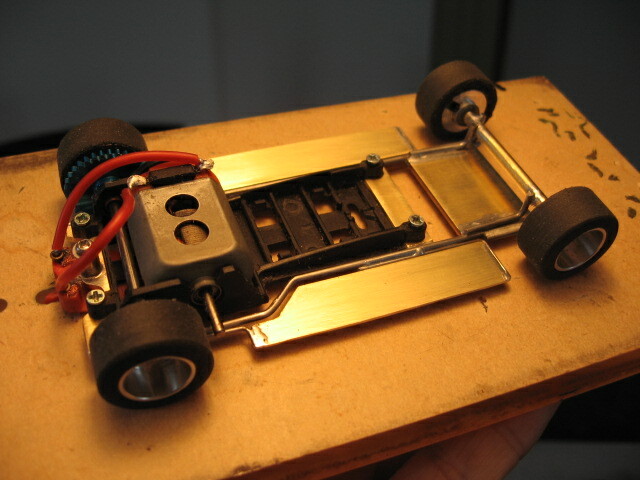 1/24 Mini Challenge proxy_front wheel drive - any interest? Throwing out this feeler for participation in a 1/24 Mini Challenge Proxy that's intended to be a builder's challenge. The kicker is that cars must be front wheel driven! I've built a test car and know it'll work and is fun to drive. Last edited by VTECFOUR; 09-25-2018, 07:39 PM. I'd guess with the guide as close to the front axle the better, so there a minimum of tire scrubbing (wasted friction/traction) in the corners. I can attest with my prototype that the front wheel drive is just fine. There's no noticeable tail out handling with the obvious front weight bias. Exit corner speed seems a bit enhanced but I might be imagining this. 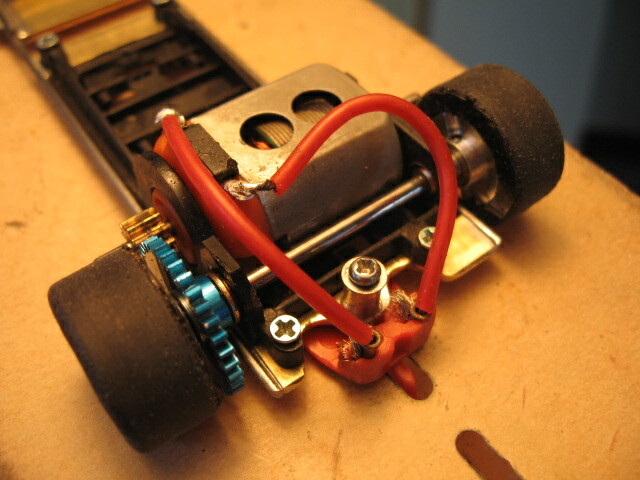 Out of curiosity, I added a guide at the back, reverse mounted the body and gave it a run in conventional rear drive. No comparison with the rear drive being conclusively faster with a fastest lap of 7.356 vs. 7.769 on Luf's Big Targa wood track. In the front drive configuration, there's very little room for the guide post in relation to the driven axle. The front guide being not visible from above the body will be specified as in most proxies. The Mini's minimal front overhang complicates this. It's tight but can be done. 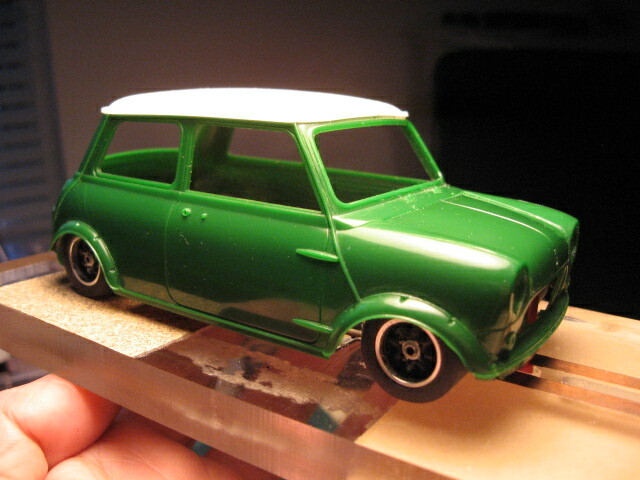 I've based the maximum combined diameter by scaling down the 12 rims and tires on my 1:1 Mini that are 19 inches tall. 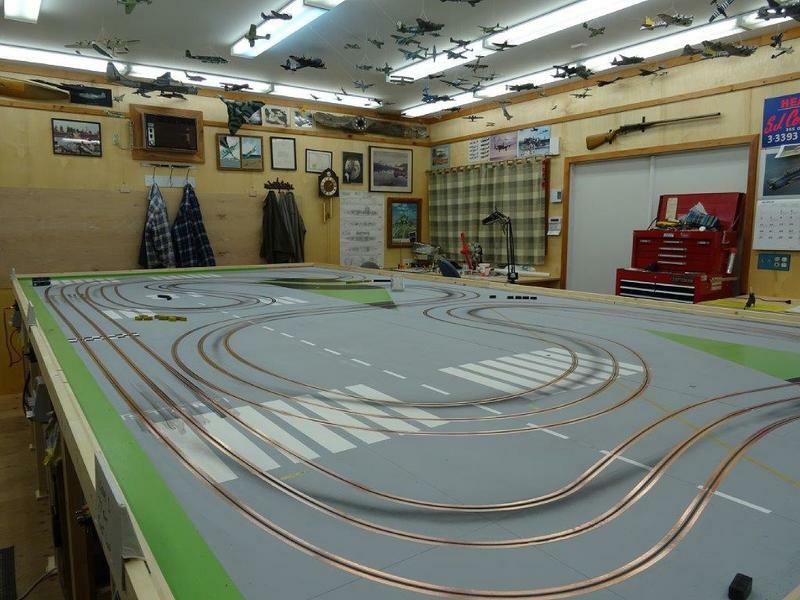 That works out to .792" in 1/24th scale. 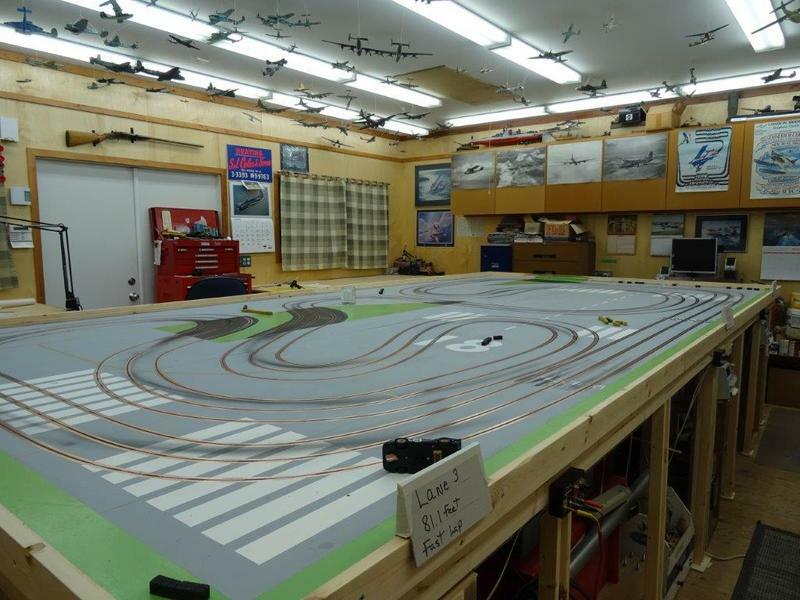 The GVSCC tracks are all routed wood with flat latex paint and urethane tire-friendly. Here are some of the venues. 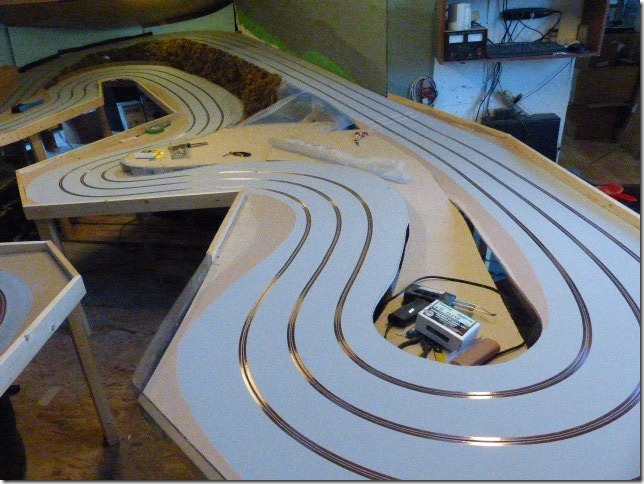 I'm working on building a couple other chassis (3) right now. 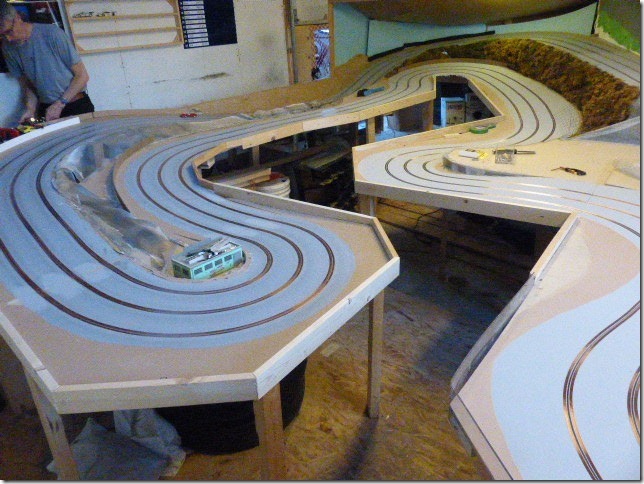 I just bought a Scalextric Mini that I'll repaint to match my 05, S, JCW..! My first non-American car, newer than 1960..! 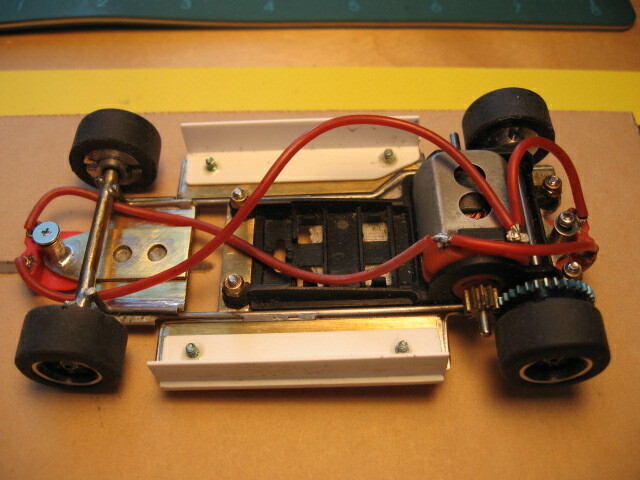 While the Scalextric car runs better than I thought it would (removing the top heavy interior really helps keep it from rolling over), I'm still pretty sure I'll build a wire chassis for that too somewhere down the road...in front wheel drive..! Looks to be little interest in this proposed proxy, so it's going on hold. A number of us at GVSCC will build regardless and have a fun run.